The Dinner Lady line is a new Dessert Line that showcases the United Kingdom’s best flavour crafter’s talents. The Dinner Lady Line builds off of the Traditional 4 desserts offered to Grade school children, brought around by the Dinner Lady after dinner has been served. 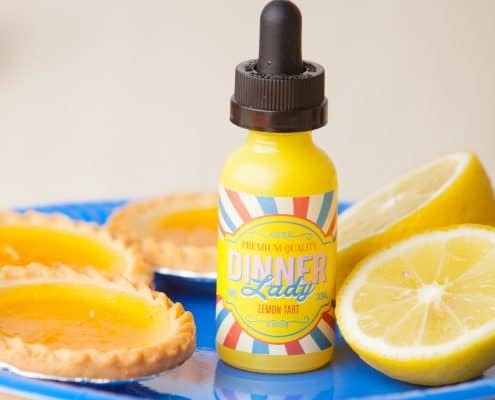 Lemon Tart – Sharp Lemon Curd topped with Gooey Meringue, cradled by a thin Pastry Crust. 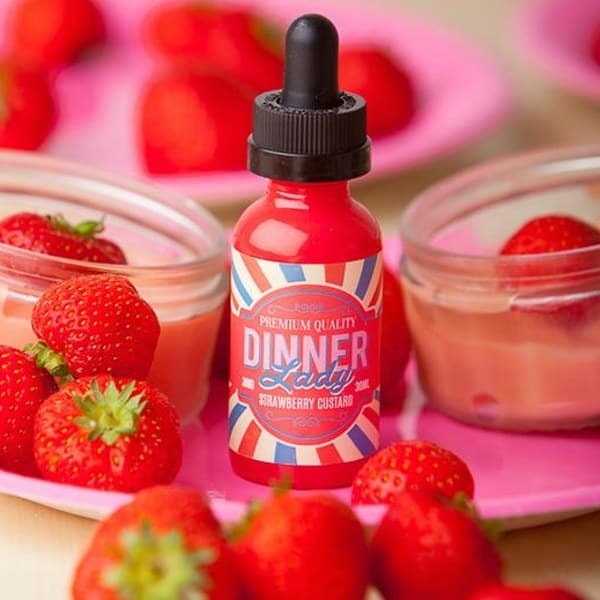 Strawberry Custard – Natural Strawberry is balanced against sweet, creamy custard and Butter Caramel. 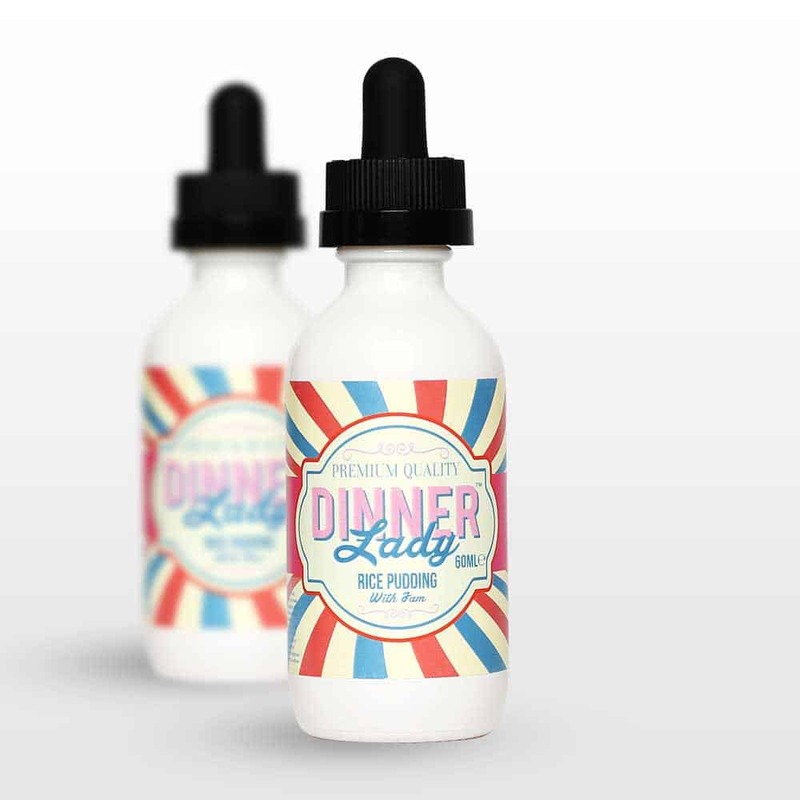 A refreshingly different Strawberry vape that will leave Mothers Milk collecting dust on your shelf. 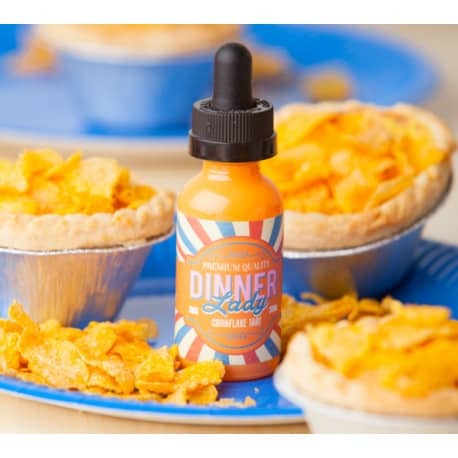 Cornflake Tart – A true taste of the Old School! Cornflake and Syrup Tart with a Punchy layer of Strawberry Jam running through. The only thing missing is the crunch. 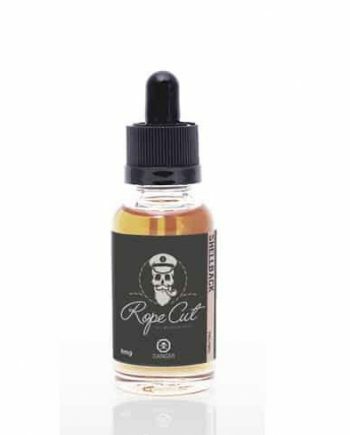 Rice Pudding – Cooked to Perfection. 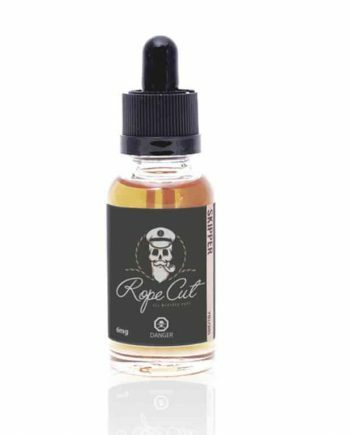 Velvety, sweet, creamy rice pudding with a tasty dollop of Raspberry jam stirred through to Finish. 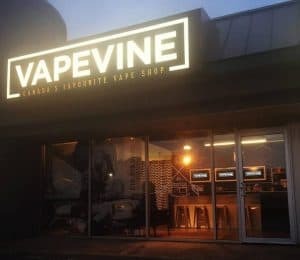 Whats not to love? 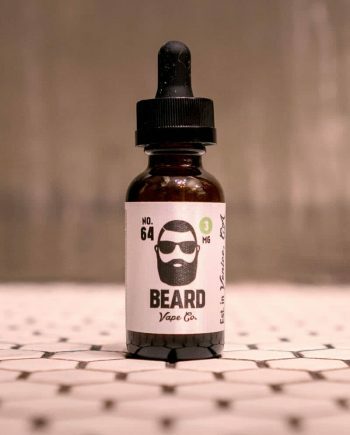 INGREDIENTS: Vegetable Glycerin (~80%), Propylene Glycol (~20%), Natural and Artificial flavourings and may contain nicotine (Concentration Stated in mg/mL). 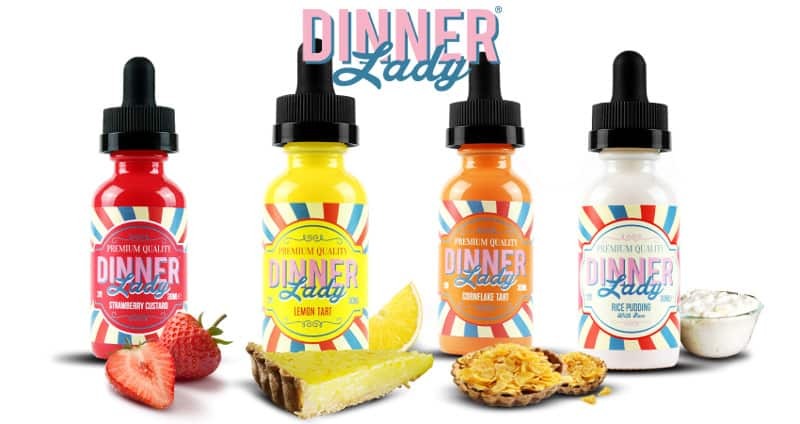 No matter what your preference, whether it’s sweet or fruity, Dinner Lady has the perfect vape for you! 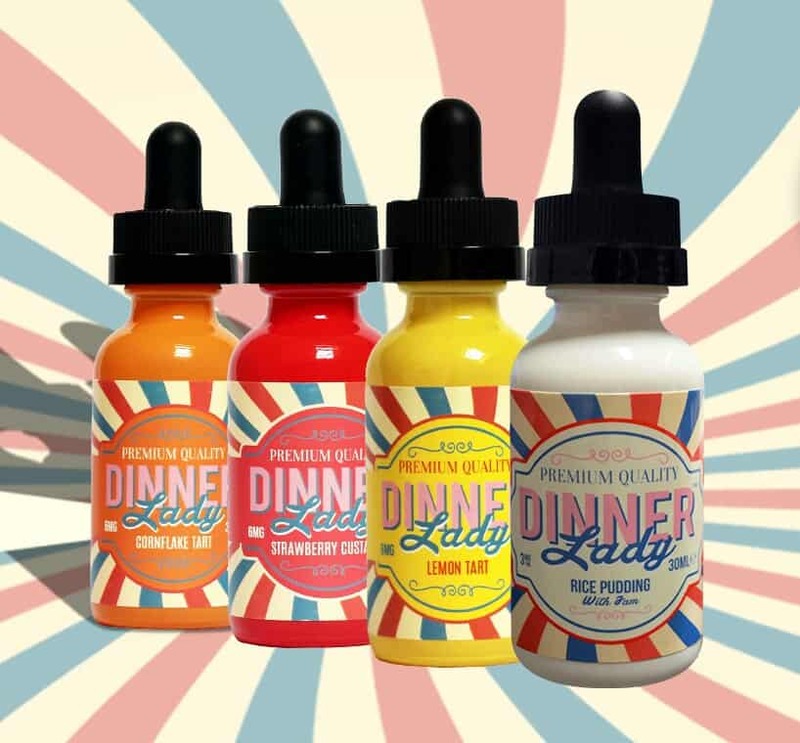 After trying the Dinner Lady e-liquids today, whether you are new to vaping, or a seasoned vet, you will understand why more and more people are joining the Dinner Lady vaping family, and benefiting from some of the finest and exquisite taste blends available on the market today! All Dinner Lady Flavour use a Max VG Blend.